Stephanie has been teaching since 2010. She started teaching kindergarten and then moved up to first grade. She is born and raised in Flushing! Stephanie enjoys spending time with her family, reading, swimming and trying new things! She loves teaching and talking about her son James all the time! She often goes to Yankee games and is known for her love of ice cream and coffee! ​Mrs Rivera has been teaching since 2005 and going into her 14th year of teaching. Mrs. Rivera is originally from Buffalo New York and lives with her husband Jonathan in Astoria Queens. She received her teaching degree from Buffalo State College in early childhood/childhood education and a masters is in special education grades 1-6. Mrs. Rivera has taught PreK , 3rd grade , kindergarten and now 1st grade. Mrs. Rivera is passionate about teaching and recently presented at the Bank Street EarlyChildhood Conference with her colleague Mrs Roman. She is dedicated to having play as a daily part of her teaching practice. In her free time Mrs Rivera enjoys traveling, spending time with family and friends , exercising and learning ! Ms. Liang has been in classrooms since 2009 and has taught in her own classroom since 2014 at P.S. 244Q (TALES!). She got a Bachelor's of Arts in English and a Bachelor's of Science in Management from SUNY Binghamton University and her Master's of Arts in Teaching for Childhood Education from CUNY Queens College. Ms. Liang was born and raised in New York City. She has called Queens her home for over 25 years, ever since she started kindergarten at her local public school. Her dad was a NYC Yellow Medallion Taxicab driver and her mom worked as a jewelry factory employee and a nanny. Ms. Liang is the oldest of 3 children and has a younger sister and a younger brother. 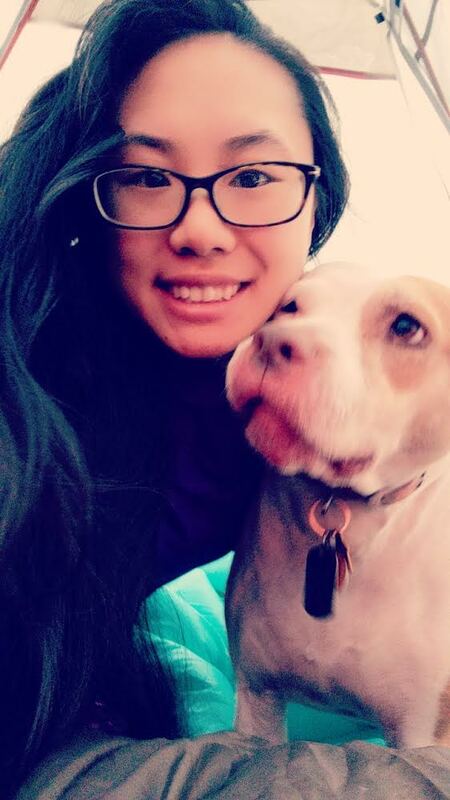 Ms. Liang has 3+1 pets: 2 guinea pigs and a pitbull (and is fostering another baby guinea pig). Her family also has a pet turtle, who is over 10 years old. Ms. Liang enjoys taking photos of her fur babies, eating ice cream and sweets, watching funny or educational shows, and singing. Ms. Liang is grateful that the TALES school community has become such an important part of her life and she is honored to be a part of the TALES family. HaeRan Chun was born in South Korea and has lived in New York City since she was eight years old. She has been married for 12 years, and she and her husband love to travel. She enjoys coffee, figure skating, and LOVES the color PURPLE! She received her Bachelor's degree in Elementary Education from SUNY Geneseo and Master's degree in Elementary Education from the University of Pennsylvania. She has been teaching for 13 years and is very excited to join the TALES team this year!